What happens when you mix Flamenco, Folk Rock, Carnatic music, Heavy Metal, and Jazz Funk along with African and Carribean music grooves? 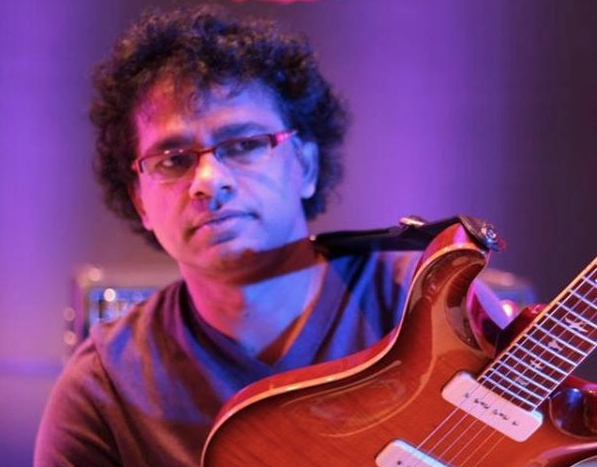 For his April concert at Terraza 7, Prasanna brings together talented musicians from Suriname, Chile, India and USA to present a high-energy band with 5 guitars, bass and drums making it a true World Beat Drum Guitar Mela. No Replies to "PRASANNA WORLD BEAT DRUM GUITAR MELA"